Okay, I co-own FLAVNT Streetwear, so a collab isn’t THAT exciting, but we have been throwing around ideas for SEETHESTARSABLAZE merch for a while and what better way to do that than by partnering up with my own brand? These shirts still do everything our other designs do (aka 15% of the sale will go toward our current fundraising partnership to help a trans person afford gender-affirming surgery — we are currently partnered with a trans woman from Austin named Dunhill who is fundraising for a breast augmentation), but these shirts are just a little bit more personal to me. Courtney and I came up with these designs together either based on some sayings I like or live by, references to tattoos I have, to my poetry, etc. We think they’re pretty freakin’ rad, and I’m excited to share them with everyone. Chances are if you buy one I will have personally hand-printed it for you, so if you’re into that sort of thing you’re in luck! This has been my motto for as long as I can remember. It is so important to try to be who we needed when we were younger when we are finally able to live our authentic lives, because we never know who is looking up to us. My second tattoo was a compass on my forearm to remind myself to always follow my heart. This tee has a compass style design on the back with S.T.S.A. for See The Stars Ablaze. “Seethestarsablaze” comes from a Trevor Hall lyric that says “Only in the darkness can you see the stars ablaze”. 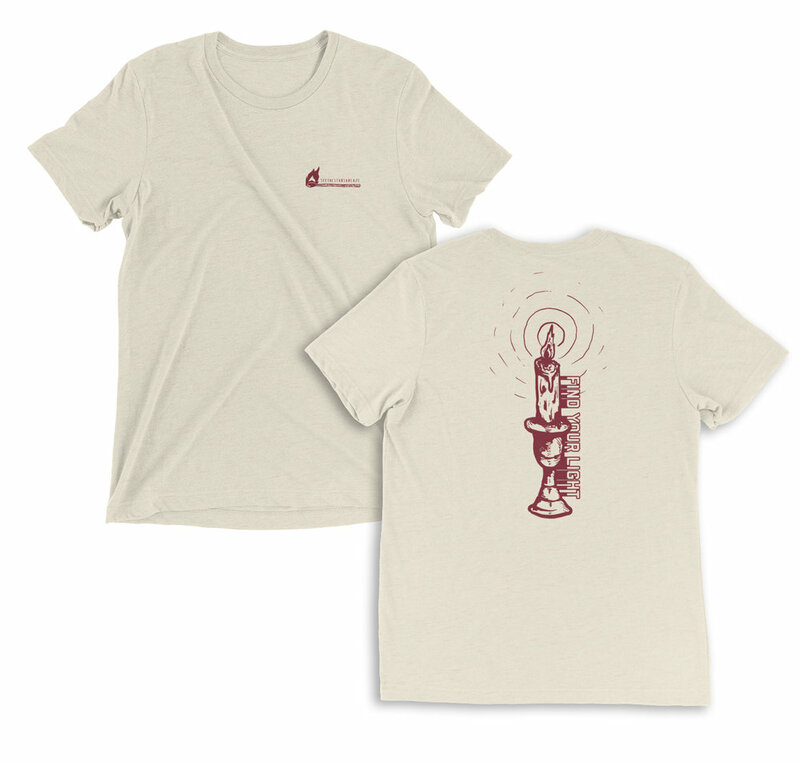 Following that idea, we created this design about finding your light featuring a candle on the back and a match on the front. Be sure to check out all the designs we have in store at FLAVNT and thanks as always for the support!